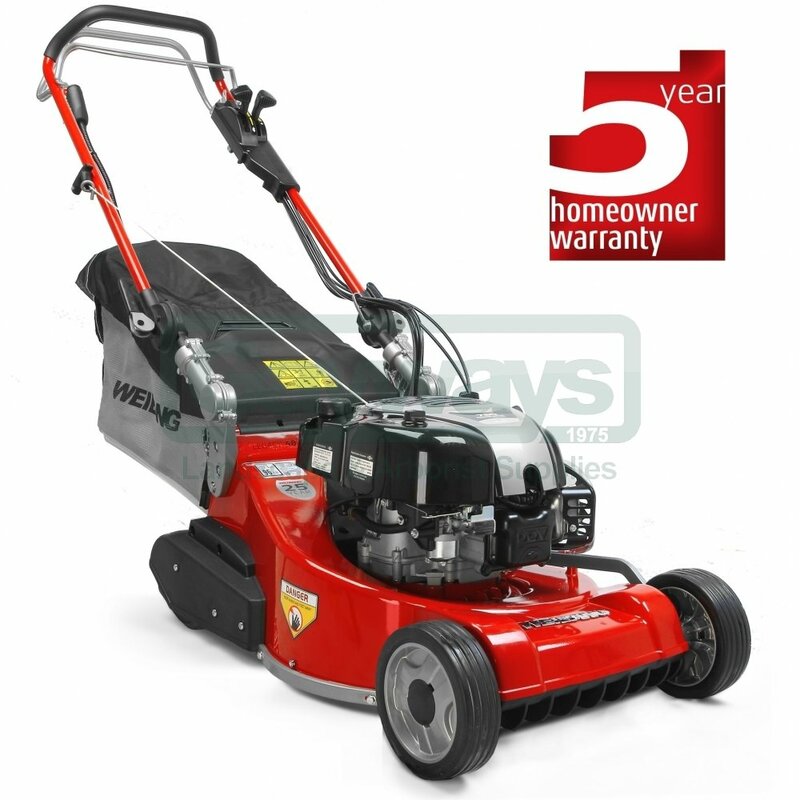 The new Weibang range offers durable, quality, value for money garden machines. The Legacy 48 V is a premium quality 48 cm rear roller. 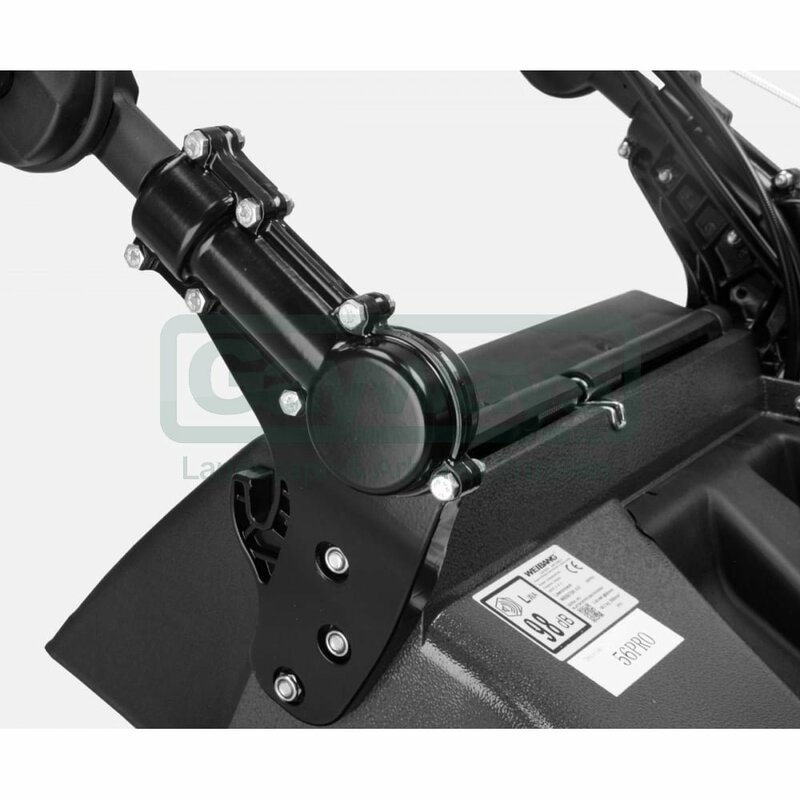 The aluminium cutter deck offers durability and resistance against corrosion, with a quality variable speed gearbox and cutting height adjustment from 13 - 67mm. Powered by a quality Briggs & Stratton 750EX DOV Series engine. 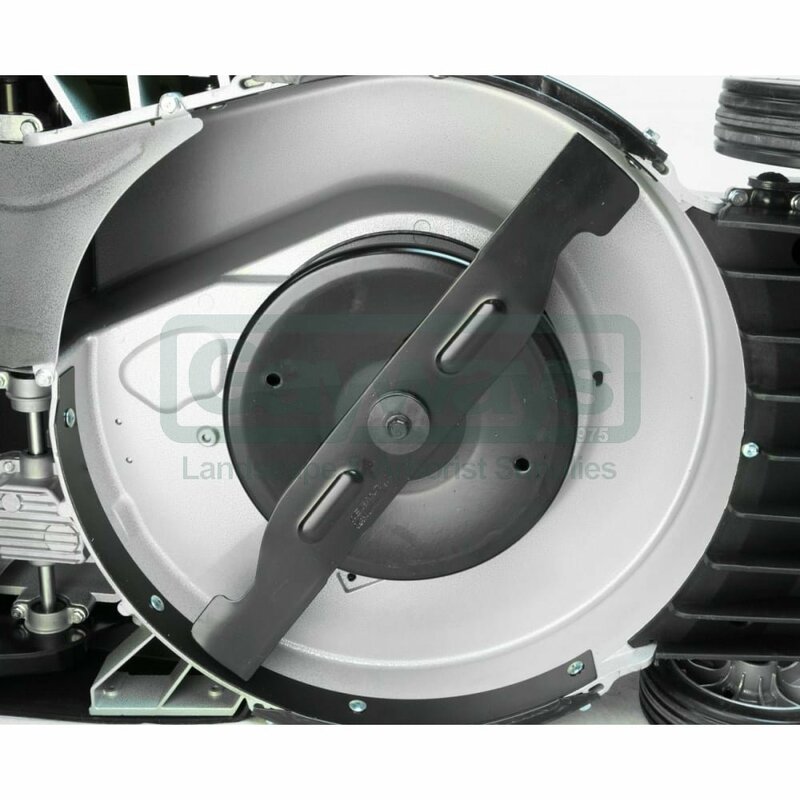 This product features a heavy duty, corrosion resistant Aluminium deck, specifically for heavy duty users. 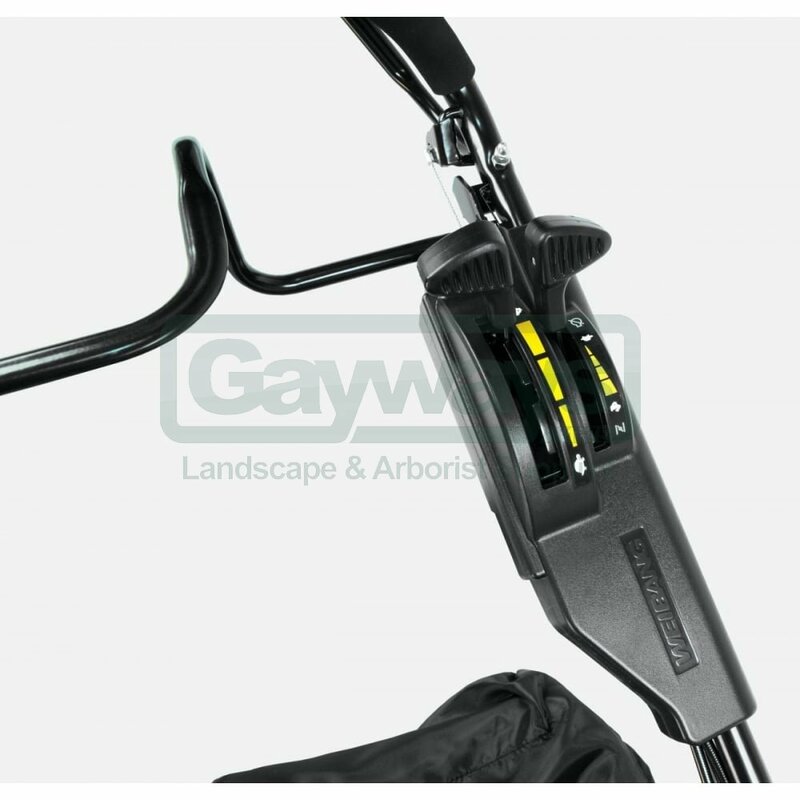 This machine has been fitted with important anti-vibration mounts which dramatically reduce levels of vibration, meaning the machine will be more comfortable to use for longer. This machine is fitted with a variable-speed gearbox allowing the operator to both reduce and increase the forward speed of the machine to match the cutting conditions.